Home Unlock ZTE How to Unlock ZTE MF920W(+) Plus? How to Unlock ZTE MF920W(+) Plus? Now our team can provide the factory unlock code of ZTE MF920W+ pocket WiFi router too. This modem comes locked to a particular network and one can not use other carriers SIM card with unlocking. Once the MF920W+ is unlocked, you can use it with any other network provider SIM card as well as the default. The ZTE MF920W+ is currently available in Malaysia by Maxis Wireless. Update : MTN MF920W+ can not be unlocked by code, so don’t place the order. Have to change the firmware of the MTN MF920W+ device. It will cost 10USD. 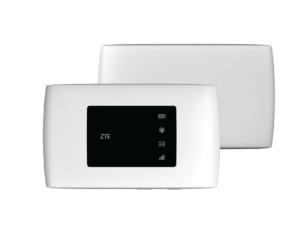 How to Unlock ZTE MF920W+ WiFi MiFi Router? 1. Switch Off the ZTE MF920W+. 3. Now connect the MF920W+ to PC using USB cable or WiFi. 9. Now your MF920W+ is unlocked forever. From now onwards, you are free to can use any network provider SIM card. Just create a new profile according to the new SIM card and connect to the internet. Note: SIMlock code of ZTE MF920W+ is not free, you need to pay. Correct code will be emailed. Update: ZTE MF920W+ unlimited unlocking solution is available. The charge is only 150USD. It is tested with MTN and NTEL Nigeria. Previous articleHow to Unlock ZTE MF286 Home Wireless Gateway? Next articleHow to Unlock ZTE MF282 Router? Have to change the firmware to unlock, will cost 10USD.